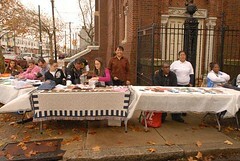 West Passyunk Point Neighborhood Association recently had its first community event! 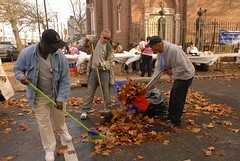 Over 20 organizations and 30 volunteers came together to inform, educate and clean up our neighborhood on Saturday, November 15. Thanks to all who came out and made this event a success! 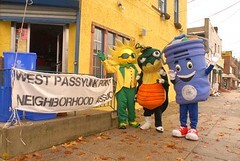 Sun Ray, Litterbug and Curby Bucket welcome the community!